Dr. Sobel is triple board certified in General Cosmetic Surgery, Otolaryngology, and Facial Cosmetic Surgery; he practices at Anderson Sobel Cosmetic Surgery in Bellevue, WA, Seattle, WA, and Lynnwood, WA. He also performs surgery at Valley General Hospital, in Monroe, WA. Dr. Sobel and his team of professionals are committed to providing skilled, compassionate and comprehensive care at their AAAHC-accredited surgical facility. Dr. Alexander Sobel has the training, board certification, and accreditations that set him apart from other surgery practitioners. He is proficient in all areas of cosmetic and reconstructive surgery, though he has a particular interest in breast and body procedures, such as breast augmentation or body contouring, and cosmetic facial rejuvenation through rhinoplasty, eyelid lift, and facelift procedures. Dr. Sobel’s purpose is not only to enhance physical attributes but to help restore confidence, vitality, and renew one’s spirit. Dr. Sobel and his team of exceptional professionals deliver honest evaluations and guidance, empowering their patients to make informed decisions about treatment. His high standards for patient care, uncompromising principle, and meticulous technical ability are evidence of his commitment to excellence. At Anderson Sobel Cosmetic, the team supports the patients and ensures that they carefully consider their aesthetic goals. Dr. Alexander Sobel and the Anderson Sobel Cosmetic Surgery staff are friendly and highly experienced, and you’ll be in excellent hands from consultation to recovery. They will make sure you are thoroughly informed about all of your options, and will provide you with personalized procedure and recovery information for any treatments you pursue. Dr. Sobel and his staff love helping patients look and feel their best! Prospective patients are welcome to come visit for a free cosmetic surgery consultation at their Bellevue, Washington office. You’ll find the office to be elegant and comfortable, and you’ll love their personable staff. Safety is of utmost concern too: the private surgical suite is accredited by the Accreditation Association for Ambulatory Health Care (AAAHC). It’s critical that patients choose a doctor who operates in a facility with hospital-level safety measures in place. Financing is also offered through Care Credit, United Medical Credit, and American HealthCare Lending. These three companies offer solutions for patients by providing extended financing options, low monthly payments, and convenient customer service. 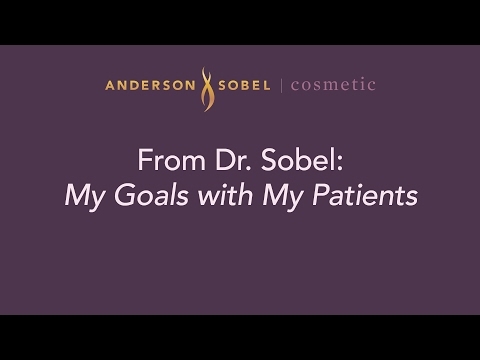 Dr. Alexander Sobel of Anderson Sobel Cosmetic Surgery in Bellevue, WA discusses his goals with his cosmetic surgery patients. 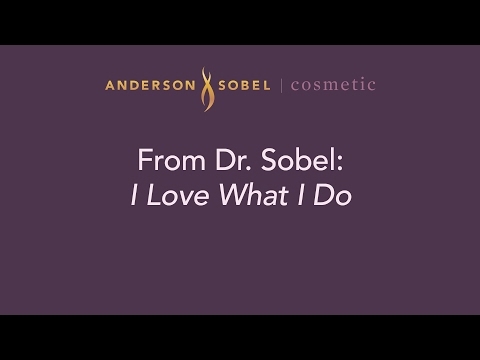 Dr. Sobel weighs in on why he loves being a cosmetic surgeon. 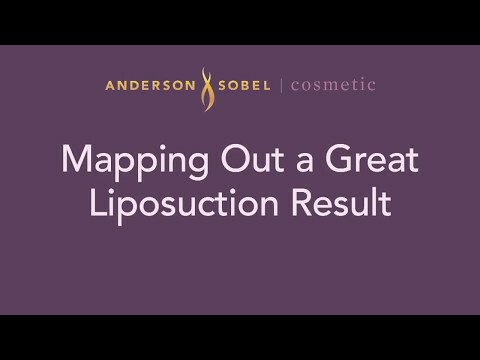 Watch Seattle cosmetic surgeon Dr. Alexander Sobel map out how he’s going to provide this liposuction patient with a stunning outcome. Wondering if you need a breast lift or a breast augmentation? 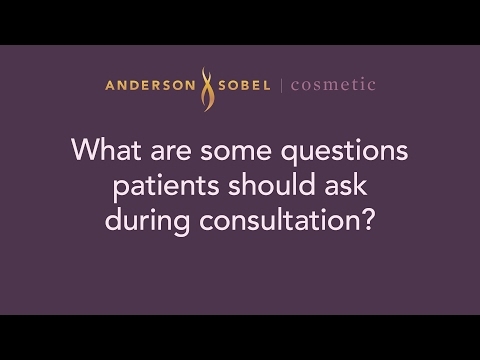 Dr. Alexander Sobel of Anderson Sobel Cosmetic Surgery in Bellevue, WA chats about the specifics and how you’ll know which is right for you. Seattle cosmetic surgeon Dr. Alex Sobel gives a few pointers for getting the most out of your cosmetic surgery consultation. • The Gallery of Cosmetic Surgery – Robert Alexander, M.D., D.M.D. ; Craig Jonov, M.D., D.M.D. Fellowship: General Cosmetic Surgery. Certificate: June 2008. Lynnwood, WA. • Ohio University College of Osteopathic Medicine/Doctors Hospital. Residency: Otolaryngology/Orofacial Plastic Surgery. Certificate: June 2007. Columbus, OH. • Ohio University College of Osteopathic Medicine/Doctors Hospital. Internship: Otolaryngology/Orofacial Plastic Surgery. Certificate: June 2003. Columbus, OH. • University of New England College of Osteopathic Medicine. D.O. June 2002. Biddeford, ME. • Colby College. B.A. May 1998. Physics & Music. Waterville, ME. "I am so pleased...Thank you, Dr. Sobel for a life changing experience!..." "I am honored to recommend Dr. Alex Sobel and his staff for any of your cosmetic needs...."
"I will never go to another cosmetic surgeon ever. He’s not only a top grade physician. But he’s an a..."